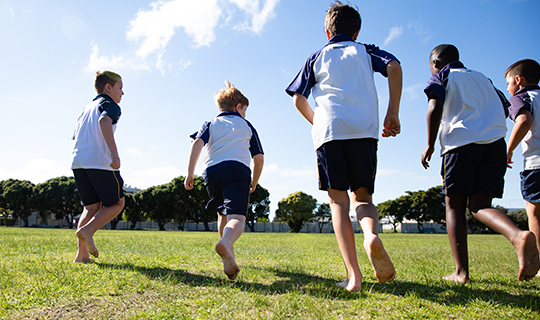 Cross country training, which is open to all age groups, takes place on Monday and Wednesday afternoons, with league races taking place on Fridays. Winter Hockey is available to all students from U/7. 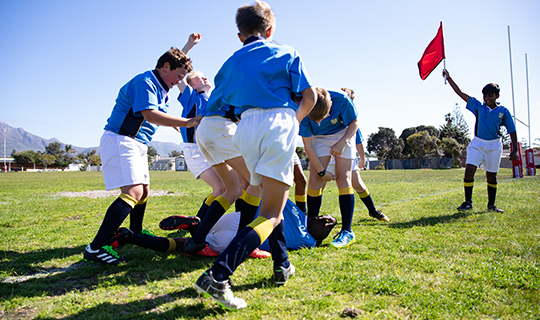 From U/8 the learners participate in weekly matches against other schools or clubs, as well as zonal festivals held throughout the winter terms. 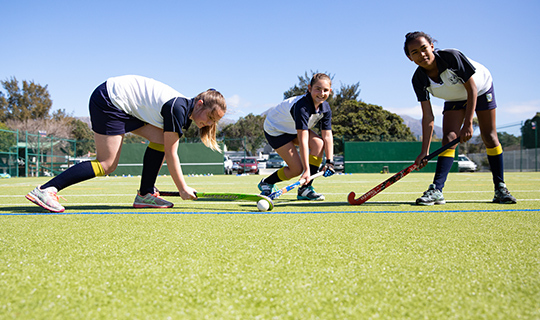 The school recently installed both a quarter- and half-sized astroturfs, which are available for practises and matches, and have provided an additional level of competency to our learners’ skills. One of the highlights of our hockey calendar is our U/9 boys’ festival, which takes place in Term 2, while another exciting event is the U/13 boys’ and girls’ hockey festival in Term 3. Both of these festivals give the learners the opportunity to play under lights. 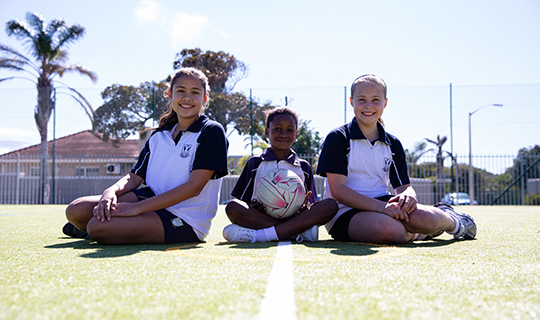 Winter Netball is available to all girl students from U/7. From U/8 the learners participate in weekly matches against other schools, as well as zonal festivals held throughout the winter terms. One of the highlights of our netball calendar is our Term 2 U/9 festival, which hosts approximately 11 schools, and gives the learners the opportunity to play under lights. We offer tag rugby for our Grade R and U/7 learners, to develop their ball skills. From U/8 we begin more formal training, and our teams play weekly matches against other schools and clubs. Home matches are played on Friday nights (under our field lights), and away matches are played on Saturday mornings. Although our school does not have its own squash courts, our learners both practise and play their home matches at the Bergvliet Sports Club. Learners have one practise session a week (on a Wednesday afternoon) and play matches on Friday afternoons.